A Pilot’s Life by developer Sim Bit World has been updated to version 1.2.3. The update focuses on the ‘current contract’ page, which generates a neat PDF page whenever you accept a new contract. Furthermore, there is a new feature which will also generate PDF documents of past jobs. 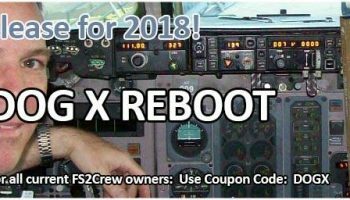 The update has also fixed a bug with X-Plane pilots gaining ratings, modified some airline fleets and routes, as well as adding limits to job applications in a realistic manner. Now that update 1.2.3 is available for A Pilot’s Life, focus will now begin on the ‘Shop’ page, which is where the hard-earned virtual money can be spent. You can buy the product via SimMarket for €16.75 (Excl. VAT), and you’ll have access to a range of manuals, support areas and of course, the career simulation itself. 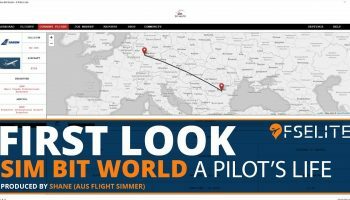 Our video producer, Shane (Ausflightsimmer), put together a great little video giving you a first look at Sim Bit World’s ‘A Pilot’s Life’.